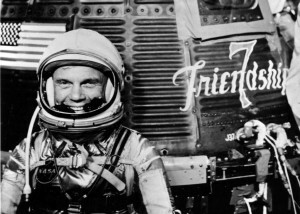 John Glenn, the last of NASA's seven original astronauts, died last night, but his legacy lives on. 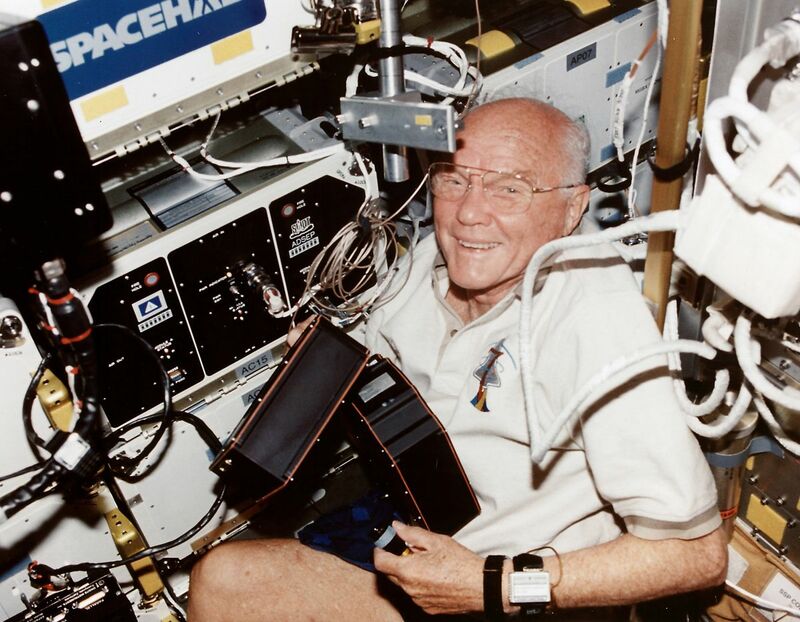 John Glenn, the last of NASA’s seven original astronauts, and former U.S. Senator, died last night (Dec. 8) at the age of 95. Prior to his death, Glenn had been hospitalized at the university at the James Cancer Center, but his illness was not disclosed. As a part of the Mercury Seven group, Glenn paved the way for future space explorers. In 1962, Glenn circled the Earth three times over the course of less than five hours, traveling faster than 27,359 km/h (17,000 mph) on board the Mercury capsule “Friendship 7” – a ship run by a computer less powerful than an iPhone. “During my [three-orbit] flight, I was able to perform basic research experiments, which helped contribute to what we know about humans in space,” Glenn told Space.com back in 1996. But more than that, this flight inspired countless people to pursue careers in aerospace, proved the U.S. deserved a spot in the space race against the Soviet Union, and established a legacy for Glenn. Although Glenn went on to be elected into the U.S. Senate in 1974, he wasn’t finished with his off-world adventures. In 1998, while still a senator, Glenn took a ride on the space shuttle Discovery and orbited Earth 134 times over the course of nine days. He was 77 years old, making him the oldest space traveler ever. His participation in the flight allowed NASA to study how microgravity affects aging. “I’m proud to have been part of the beginning of America’s space program, and needless to say I’m excited to be back and I am honored and privileged,” said Glenn at a Jan. 16, 1998 press conference announcing his second flight. The space race truly fueled innovation. But the competition isn’t over. In fact, the race is more robust than ever, as more players have entered from the private sector including SpaceX, Blue Origin, Boeing, Virgin Galactic, and more. Just this year, SpaceX celebrated landing six reusable rockets while Blue Origin landed five. These successes will all contribute to our eventual landing on Mars and, perhaps one day, we will have a colony there. Then there’s the slew of incredible companies offering innovative technologies that can be used to obtain resources off world. Planetary Resources hopes to “expand Earth’s natural resource base” by developing and deploying the technologies needed for asteroid mining. Deep Space Industries is another asteroid mining company that’s developing the technologies to find, harvest, and supply the asteroid resources that will transform our space economy and enable longterm space missions. Today, orbiting the Earth might be commonplace for the crew of the International Space Station; however, it is important to remember that Apollo 17 commander Gene Cernan was the last man to walk on the lunar surface…and that was in 1972. The day will come when we’ll be looking out over the Red Planet, watching the Earth pass by with the same wonder Glenn felt looking back at our planet from space…but only if we truly invest in that future.